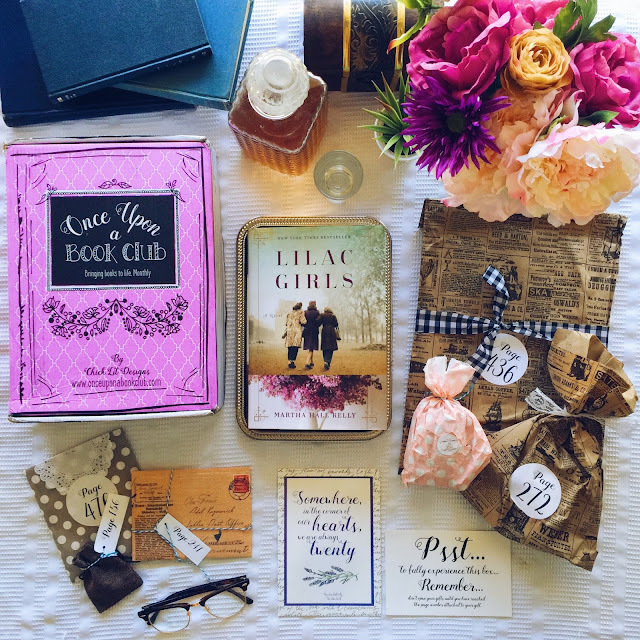 Today I'm really excited to share with you this fun new women's fiction subscription Book Club box, Once Upon a Book Club Box! Michelle, the owner and curator of this box sent it to me for review, and I was absolutely thrilled with the entire experience. Generally this box will come with 2-4 curated items, but since this was the inaugural box, there were six items! In a nutshell, each gift coincides with a specific point in the book. As you read, you will encounter tabbed pages, specifically tabbed at certain points in the story. 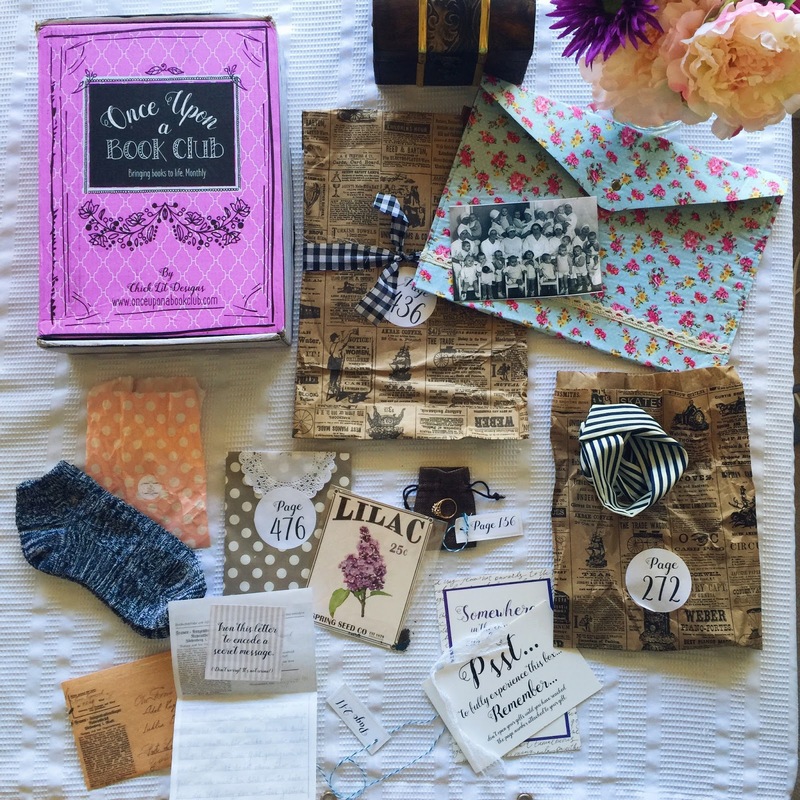 Readers will read until they meet the tab, and then open the corresponding gift. 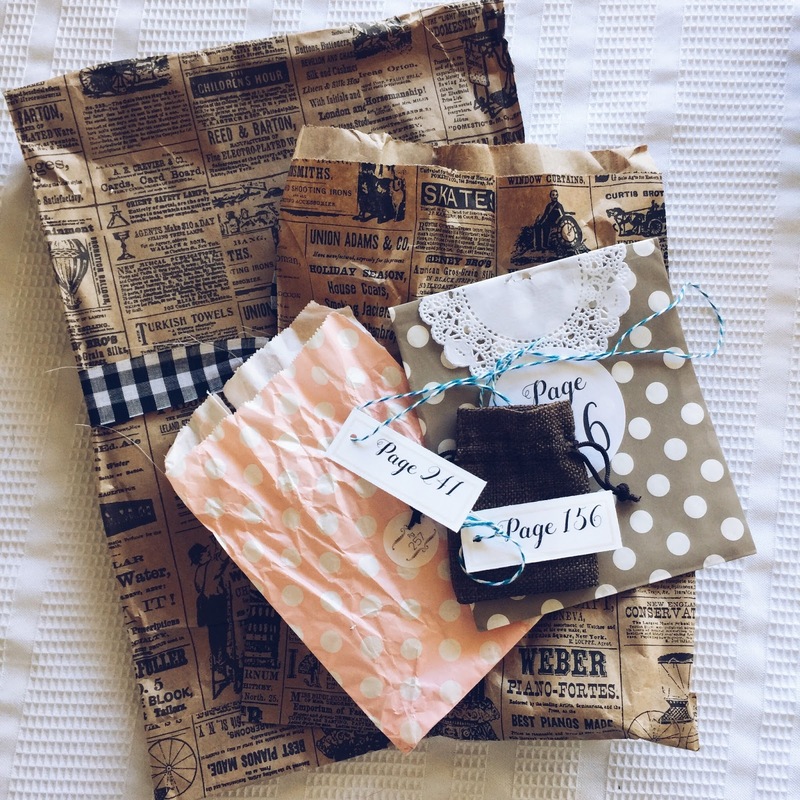 I was immediately intrigued by the wrapped gifts and was squeezing, poking and prodding them. It took a lot of self control to not open them all right away, but YOU MUST CONTROL YOURSELF! haha. Because opening those gifts for the first time while reading the story really makes the experience. The Lilac Girls was a very hard book for me to read. Really, anything that delves deeply into WWII or war in general, is hard to read about. This story was very moving and really brought certain pieces of this history to life for me. Now here is where the box and the gifts really amazed me. Michelle had selected, found, or created items that were EXACTLY like the book. This part seriously blew me away. To read about an item and then have it in my hand was really an amazing experience. I have to admit, the first gift was a hard one for me. I think I can say this without spoiling the book too much, but there is a point when the Nazi's rip the wedding ring off the finger of one of the characters. That was the point when I encountered a tab for a gift, and to my surprise, a near exact replica of the ring described in the book fell into my hand. For a brief moment it felt like the Nazi woman had ripped the ring off that poor woman and then handed it directly to me. It was a very hard moment to deal with as a reader, but at the same time this story just surged to life for me. The emotions, the thoughts... very powerful. Readers get to decode a letter in the same fashion coded letters in the book were decoded. And finally, a packet of Lilac seeds. 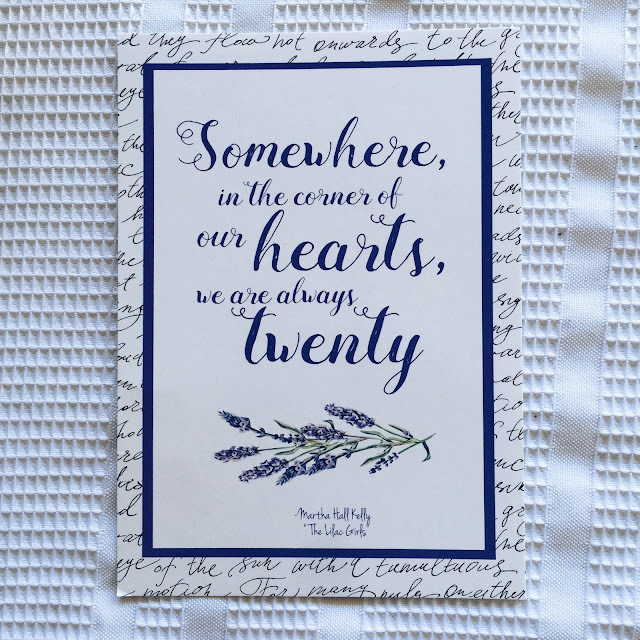 This quote card can be framed or displayed, but the other side contains book club questions that are posted and discussed on the @onceuponabookclubbox Instagram page. Dates are included so subscribers know when each question will be discussed. Overall, I was super pleased with this experience and think this is a fun way for readers to engage with a book and make it an extra special and memorable experience.